Eric Paré and Kim Henry create all kinds of amazing Light Painting imagery. 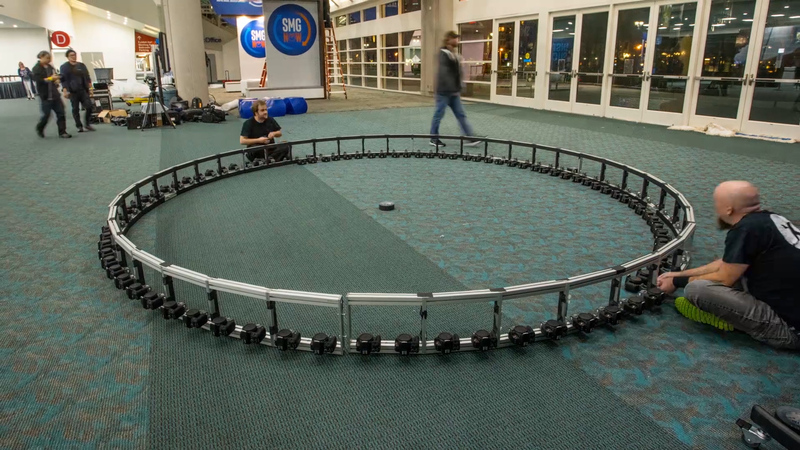 One of Eric’s more technical light painting endeavors is providing a sophisticated 360° Bullet-Time Light Painting Rig to major corporate and lifestyle events around the world. 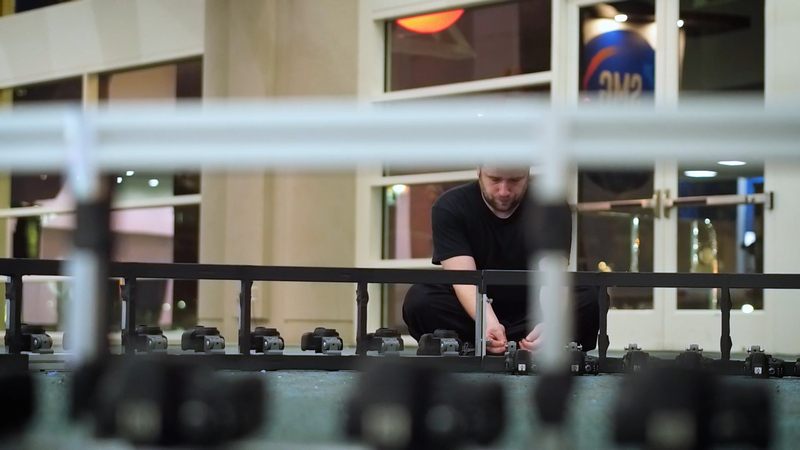 Eric is pushing the limits of Light Painting on many different fronts, but this set up of 84 cameras shooting simultaneously is something else. 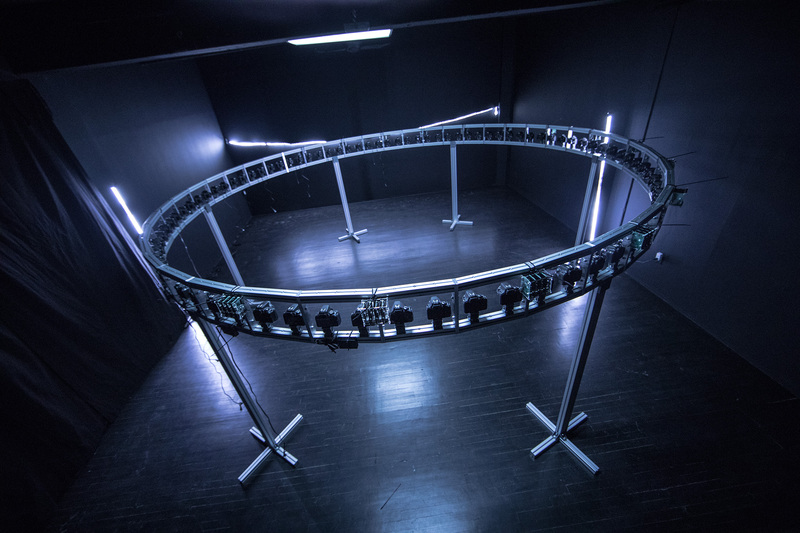 I thought it would be interesting to learn a little more about his Bullet-Time Light Painting rig, read on for all the info. 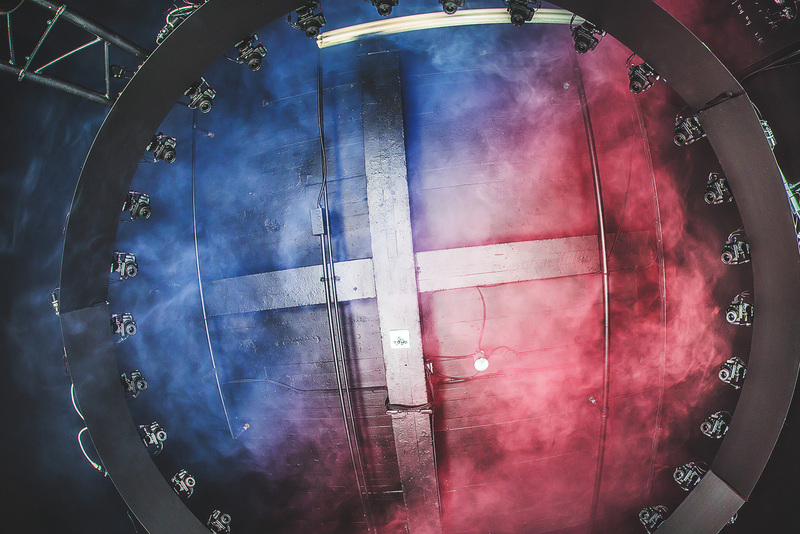 LPP ∇ What is 360° Bullet-Time Light Painting Photography? 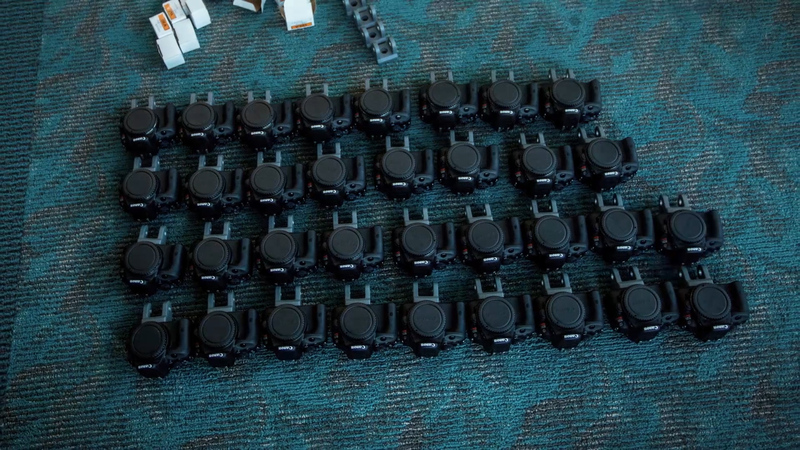 LPP ∇ How many cameras are you shooting with at one time? LPP ∇ How do you control all the cameras at one time, is this an off the shelf solution or something that you had to design? EP ∇ There are a few options out there to control the cameras, but they have very limited features and they’re often buggy. Most of our clients (yes, we license our bullet-time software solution) were using the same old app and they switched to our things because it’s more stable and more modern. Basically, we have a web interface (meaning you can control everything using your computer, tablet or smartphone), and this is the starting point to the whole solution. It does everything: connect, control, calibrate, sync, trigger, download, preview and publish. LPP ∇ Did you design the system yourself or is there a technical wizard behind the scenes? EP ∇ In 2011, I put in place the full bullet-time system within two weeks for a live gig. I do a lot of coding, so these things are not too scary for me. Designing that kind of system in such a short period of time was quite reckless or silly, but I guess I’ve always liked challenges. Now things have changed and I have a great team on board working on this fancy system while I invest more time on the artistic aspect and the project’s management. I haven’t wrote a single line of code in that system for over a year, but my team is constantly improving things and adding cool features. 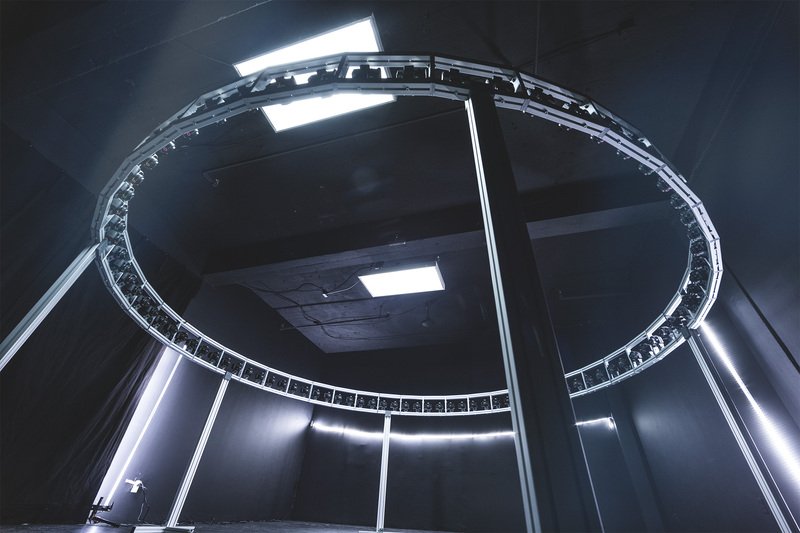 LPP ∇ How did you begin shooting Bullet-Time Photography and when did you bring Light Painting into the booth for the first time? EP ∇ Light painting basically came into my life because of Bullet-Time Photography. As soon as I got a rig in the studio, I was looking for a way to light my models without revealing the cameras all around. So I started to create the light by hand and experimented with light-painting. I played around until I achieved my goal: having a studio quality light created by hand without revealing the cameras. One turning point for me was to see Patrick Rochon working. He’s very serious about his art, and this really inspired me to achieve professional results using light-painting techniques. LPP ∇ In terms of Light Painting you shoot relatively short exposures, what is the average exposure time of the images you create in the bulletime-lapse rig? LPP ∇ What are the benefits of shooting a 1 or 2 second exposure, as opposed to something longer? EP ∇ The main reason why I shoot with such short exposure from the beginning is that I want to achieve studio quality pictures using hand crafted light. It means that I want my subjects to be as crisp/sharp as possible on the image, every time. If you go over 2 second exposure it gets trickier because of the subject movement, even when you work with professionals. LPP ∇ I know you have the system at your studio Montreal but you also travel and do some major corporate events, what are some of the companies you have worked with? EP ∇ The first major event we did with 360* light-painting was for Adobe Max. 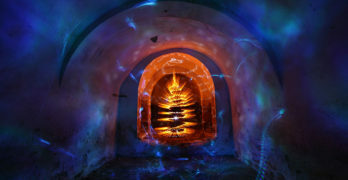 We were two light-painters (Kim and I) and created more than 1000 pictures within 3 days. Since then, we collaborated with Microsoft, Intel and a few other brands on which we are preparing the next projects. We have a tour coming up in spring that will bring us to Spain, China, and USA. We’re all pretty excited about that! LPP ∇ Traveling with the all that gear must be pretty complicated, how do you travel with all the equipment and how many people do you have to bring with you to set up? EP ∇ Super complicated! Once again, I’m well surrounded. I have people helping me to handle the technical stuff, such as inventory, shipping, set up, etc. An event can involve between 5 to 12 people on site, depending on the circumstances. LPP ∇ Recently I have seen some of your 360° work that looks like a combination of a interval and bullet-time, is this something new that you are working on? 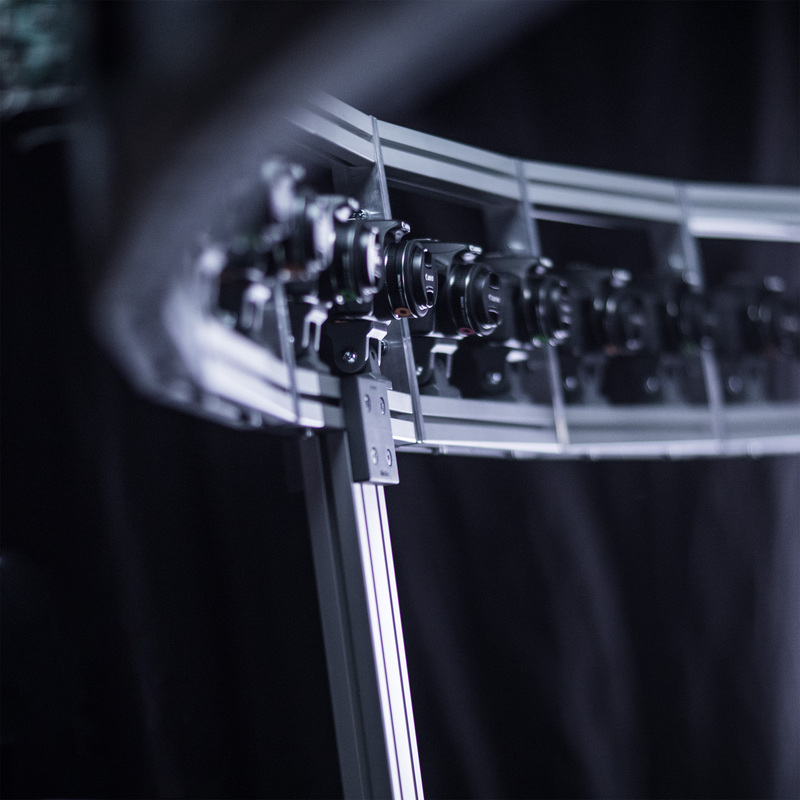 LPP ∇ What do you see as the future of 360° Bullet-Time Light Painting Photography? EP ∇ This is endless. I could spend a year in the studio and create something different every day. I’m not good at figuring out what the future looks like, but I can tell you that it’s very bright and full of creativity. Come play with us! I want to inspire people to play inside and get creative! 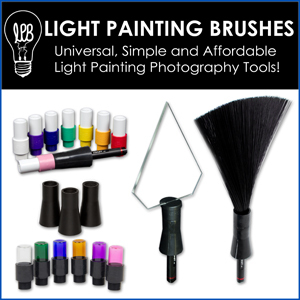 LPP ∇ I know you are super busy these days, thanks for taking the time to answer some questions and share a little behind the scenes of this incredible Light Painting set up! Check out more on Eric’s Website, Instagram, Facebook Page, and he also has a very nice group called Eric Pare/LEARN with all kinds of great info! We should modify Wikipedia about Light Painting. There should not be such thing as second in the definition.